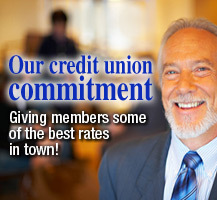 With Arkansas Teachers FCU, you’re a member, not a number. Our goal is to put our members first in all we do. We provide products and services that help the financial stability and economic growth for both our members and our community. As part of your community, we plan for the future, helping individuals and businesses achieve and maintain financial success, stability, and prosperity. Take a look around and see what we’re all about. To login for the first time, in the Online Banking box above, please use your member number as your Username.